To provide Christian acts of mercy to persecuted ethnic minorities, IDPs, those on the run, refugees, & missions in Southeast Asia. To provide Christian acts of mercy, counsel and love to relocated refugees in Colorado. Our mission is based on three philosophies. “Give a man a fish and you feed him for a day” CBRTN gives food, clothing, blankets, etc. “Teach a man to fish and you feed him for a lifetime” CBRTN helps teach ESL and find jobs. “Lead a man to Christ and disciple him and his life will be changed for eternity” CBRTN connects refugees to pastors, churches and ministries. From time to time we get urgent requests for food from Pastor Robert Tway in Thailand for ethnic people groups who are internally displaced hiding in the jungles. If you would like to donate to this great cause, please send your check to the address below and include a note stating “Food for IDPs”. The food stamps program here in Colorado is often slow providing timely assistance to our refugees. Logjams can be more than a month. This great need is urgent! CBRTN has been assisting families by purchasing food at an Asian market. Please consider making an immediate contribution to CBRTN for this cause. Send your check to the address below and include a note stating “Food for Denver Refugees”. The Lord is using Pastor Panya and Ratrapi in a mighty way to spread the Gospel among the Thai Karen. If you would like to help support their mission, please send your check to the address below, and include a note stating “Support for Pastor Panya and Ratrapi”. From time to time we support pastors who are in need. If you would like to help support a pastor, please send your check to the address below and include a note stating “Pastor’s support”. Needs are constantly arising whether among the refugees in the Denver area, Thailand, or Burma. Whether needs in jobs, housing, bills, moral support, etc., we try to fulfill these needs to the best of our effort. We always can use volunteers to join us in meeting these needs. If you want join us contact Sue at psuerairdon@comcast.net or help financially to provide for the needs that constantly arise. CBRTN will act to raise awareness and educate on the plight of persecuted ethnic minorities, IDP’s, refugees and those running from persecution in Southeast Asia and to those refugees who relocate to Colorado. CBRTN will support short-term mission’s trips to Thailand to see missionaries at work in the field, explore areas for contribution and deliver medical, food supplies and encouragement. CBRTN also networks and works closely with key organizations on the ground in Burma and along the Thai-Burma border, where many IDP’s have fled from the Burmese military’s brutal persecution. CBRTN seeks to find ways to be of better assistance to Karen and other refugees in the refugee camps and after relocation to third countries. For these reasons, it is important that CBRTN establish a good local network. For example, because of our local network in Thailand and Burma, CBRTN has been able to provide funds directly to those affected by cyclone Nargis even when major international aid organizations were simply unable to reach these victims due to restrictions of the Burmese regime. 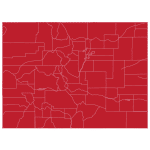 CBRTN will act locally in Colorado to help in the assimilation of ethnic groups from Southeast Asia into life in the USA, by providing practical living assistance and donations, legal advice and other assistance as necessary working in liaison with other agencies. CBRTN will act as an advocate for refugees in Thailand, Burma, Colorado and globally. 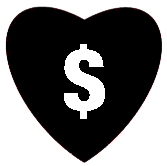 When I think of the Colorado Burma Roundtable Network, I think of all of the wonderful and selfless people who dedicate their time, money and resources to help a people in need. The story of CBRTN is very much the story of their individual ministries. And the CBRTN story is first and foremost a chronicle of our unseen God’s guidance and direction. For several years now, we have worked together to make the lives of displaced people in Denver and in Southeast Asia a little better off. We have done this entirely through volunteer labor in the name of our Lord and Savior, Jesus Christ for the advancement of His Kingdom. In the process, we have found what we already knew, that God’s power far exceeds our own. Consequently we have been blessed and humbled to be afforded this opportunity. I was asked recently to describe how God has led me to discern this ministry as a direction for my life. My answer was quite simple. “It is not hard to discern that which I could not envision, or could not do on my own”. And so it is, God has led us to do things which we had no idea how to accomplish, and He has provided for His beloved Karen people through avenues that we had no idea existed. He has introduced us to Karen leaders whom most people will never meet. And, he has created a strong bond between us and these leaders, and leaders in the local Karen community alike. Since the beginning of our ministry, many crises have surfaced, and we’ve been asked to help. These have ranged from food shortages arising from monsoon floods in Thailand, to starving Karen on the run in Burma, to food shortages in the IDP camps also in Burma, to disaster assistance for victims of tropical cyclone Nargis. We have simply prayed and asked, and the Christian community has been there with their loving support. He has also provided support through CBRTN to the refugees who come to America confused, depressed, and totally without knowledge of modern city life. It began with a simple trip in 2003, and has evolved into a meaningful ministry. We now make annual trips to Thailand, and when possible take excursions across one of two rivers that brings us into direct contact with people living under some of the worst oppression on the planet. We work here in Denver performing less glamorous, but absolutely vital tasks that make life bearable for our newest immigrants. A few years ago we thought Karen was our neighbor, a lady who lived across the street. Today, we know the name Karen to mean a beautiful, wonderful people who may be on the verge of extinction if it weren’t for the Grace of God, and the helping hand of kind and generous people around the world. People like you, who are simply willing to stand up and be counted as one. As it is spoken in Matthew 25:31-46, to have fed the hungry, given drink to the thirsty, invited the stranger into your heart, clothed the naked, and cared for the prisoner is to have done this to Jesus Christ, himself. What a blessing! CBRTN is able to provide funds, assistance, education, transportation only because of the graciousness of God and the many people who give of their money, resources and time. 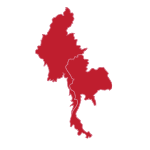 Further, CBRTN is only one of many national and international organizations that serve to assist the Karen and other peoples of Burma, raise awareness of the issues and exert pressure on governments to seek regime change in Burma. The list below represents many of the organizations that we have the pleasure to work alongside.